I decided to leave a little early so that I could get out to Big Bend Brewing Company, over in Alpine, for their tour and tasting. Big Bend Brewing Company is currently the most remote brewery in the U.S., but has ties to Austin, where Steve Anderson brewed for Live Oak. I actually got there in time for the tour, about fifteen minutes early in fact. The crew livened up the standard brewery tour by doing the tasting while we were touring, as well as discussing more of the brewery technology and processes than is typical. Usually you get some variation on “these are the ingredients, this is the process, let’s drink beer!”. We talked about the equipment, their expansion plans, the difficulties of getting ingredients on short notice due to the remoteness of the brewery, as well as the mentoring that’s being done to help make the next generation of brewers. The first beer we tried was their Tejas Lager, a German Pilsner style lager that was light, crisp, and with just enough malty sweetness to offset the delicate hopping. I’m not a huge pilsner fan, but this is one I could definitely put in the rotation. 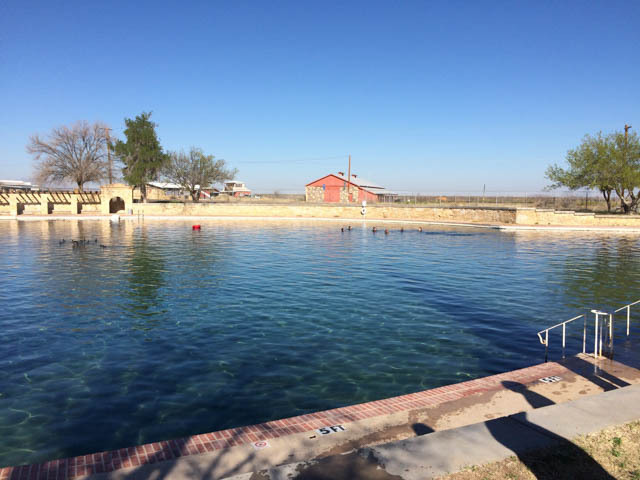 From there, we sampled the Terlingua Gold, a golden ale. It was hoppier than the pilsner, as expected, but still in balance for the style. This is a style I’m going to have to brew at home, because it’s one I can serve to people not that familiar with craft beers. In fact, if you can get it, this is definitely a good introductory beer for helping people move away from the fizzy yellow stuff. Next up was the Big Bend Hefeweizen, which was a delicious example of a hefe. There are a lot of esters in this, lots of clove especially, that make it a wonderful beer for a warm summer day. This would pair well with some green chile enchiladas, some fajitas, or even fish tacos. And it’d be another good introductory beer for people looking to branch out. And then we got to taste a real treat, the Pasión Peppermint Porter, a variation of their No. 22 Porter that they brewed for the Valentines in Valentine party that Big Bend Brewing Company puts on in Valentine, TX. I haven’t been a huge spiced beer fan, but beers like this are changing my mind. The peppermint wasn’t overpowering, but was definitely there, and went well with the chocolate notes from the roasted malts. By this point, the tour was done and we were still tasting the rest of their offerings, including the La Frontera IPA, a bold, well hopped example of the style. Weighing in at 5 IBUs, it’s on the low end of the hop bomb trend, but it’s a delicious IPA that deserves a purchase every so often. The final beer in the tasting series was their Winter Warmer, another spiced, higher ABV, ale. It was a treat to get to try two of their seasonal offerings, and this one didn’t disappoint. It’s a riff on a doppelbock, with some orange peel and coriander for additional flavor. This would definitely be nice with a big slice of mincemeat pie on a cold winter evening. At the end of the tasting, we had the opportunity to fill our pint glass with any of the beers they had on tap. Sadly, I had to pass on that because I still had to drive to Balmorhea, about fifty miles away, so I did a little shopping before heading back in to town to pick up six packs of each of their beers to bring home with me. 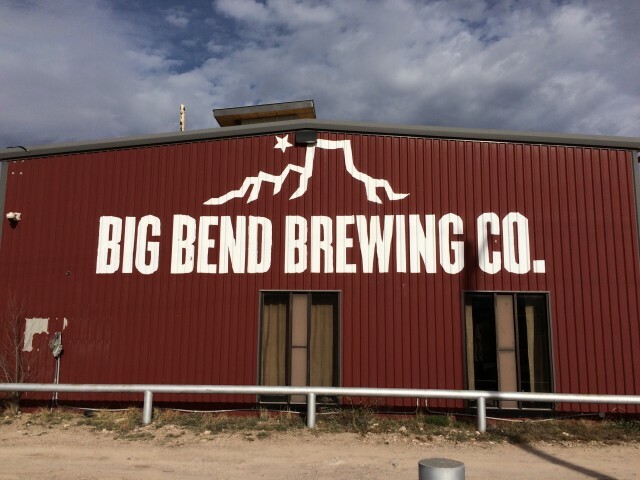 It’s definitely a haul, but if you’re out in west Texas, you really should stop in and visit Big Bend Brewing Company. Trust me, they’ll make it worth your time.